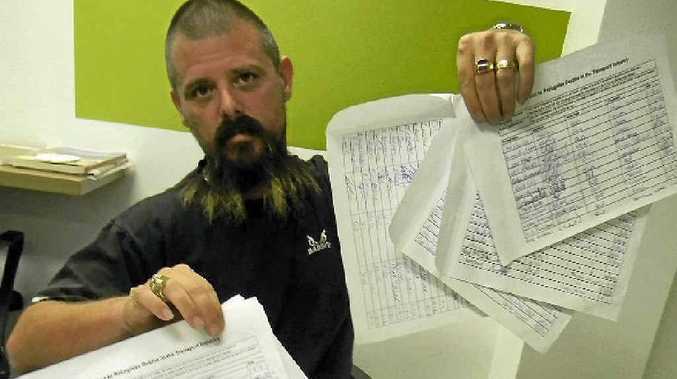 CAMPAIGN: Steven Corcoran has been collecting signatures for danger money. STEVEN Corcoran wants danger money for truckies. He has been collecting signatures at truck shows and roadhouses and has even managed to get federal member for Moreton Graham Perrett to sign a petition. The whole danger money idea, he said, started after he found out truck drivers were "30 times more likely to die on the job than other professions". Although Mr Corcoran was one of the first on scene when a truck driver was killed at Ilbilbie south of Mackay in February, he has been advocating for safety since 1999. That's when he had a head-on crash with another truck on the Toowoomba range. "Nothing seems to be working," he said of trying to reduce the road toll. "I believe most accidents are caused by people just trying to make a living. If we take the pressure off …"
He launched a Facebook site for his campaign and within a few days had 700 members. Not everyone feels the same. Big Rigs has received emails and phone calls from drivers that were extremely worked up about the concept. One said "danger money was not going to solve anything". That driver agreed the profession could be dangerous but said the campaign was muddying waters for others in the industry trying to get safe rates and better conditions. "People think it's a joke. Who's going to pay it," said the caller, who would not give his name. "I've worked for companies where I haven't been paid well. Now I get paid for everything. I've also had mates die on the job ... You get on with it." The caller said the danger-money campaign painted truck drivers in a bad light. Queensland Trucking Association chief executive officer Peter Garske said the proposal to pay truckies danger money was "outrageous". 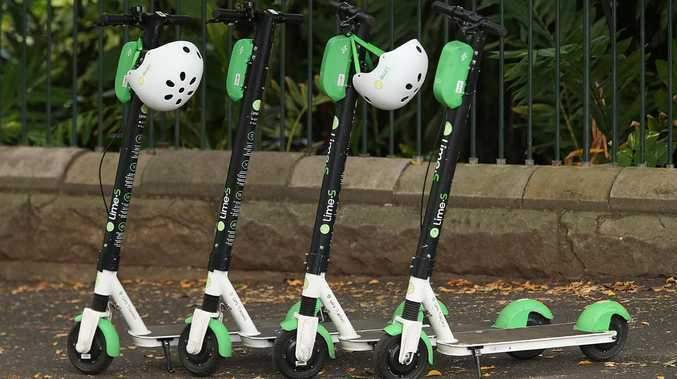 "There's legitimate means within the Fair Work Australia framework and particularly the road safety remuneration act (where people can address) appropriate remuneration," he said. "The notion of somehow linking danger money is outrageous and a subject I find quite laughable." WHEN Big Rigs sat down with Steven Corcoran and asked him why he started the Danger Money campaign he said the "cream of our crop" was being wasted. The problem, he explained, was experienced operators were leaving the industry and there were no good operators to replace them. He wants $100 danger money a day for truck drivers. "I believe that human beings are worth more than money," he said. "They deserve it. "It will attract a higher calibre of person to the job and can be used as a buffer to take the pressure off when in the cab. My way of thinking is pay a daily rate. With danger money you could have two nights on and one night off. It gives you time to rest." Mr Corcoran has been driving trucks for 18 years but, after witnessing a crash on the Bruce Hwy, he is now off work. He says the road was wet when he was driving south of Mackay at Ilbilbie on February 15. A B-double fuel tanker jack knifed and another truck, with no where to go, ran into it. The driver, someone he had seen around the road house, died in the crash. "Whether or not you're pressured to earn your wage, either way driving a truck is dangerous," Mr Corcoran said. "Every time you are in the truck you have to be prepared that you could die or injure yourself." He said truck drivers also had the job of keeping other people alive on the road. "It's the industry I have dedicated my life to. I've just always loved trucks as a kid," he said. From now until the Truckies Hall of Fame in Alice Springs he is collecting signatures. "I would like a million. That's one in 20 in the country. I hope people sign the petition," he said. He said the danger money worked out to be $4 a tonne on a single trailer and less for a B-double. "That's one cent extra for three kilos of sugar you would have to pay. Aren't truckies worth one cent?" Vote in our poll, leave a comment below or write a letter to the editor and share your views with other truckies. Should truckies be paid danger money? This poll ended on 21 August 2012. Yes, they should be paid danger money. No, they shouldn't be paid danger money.